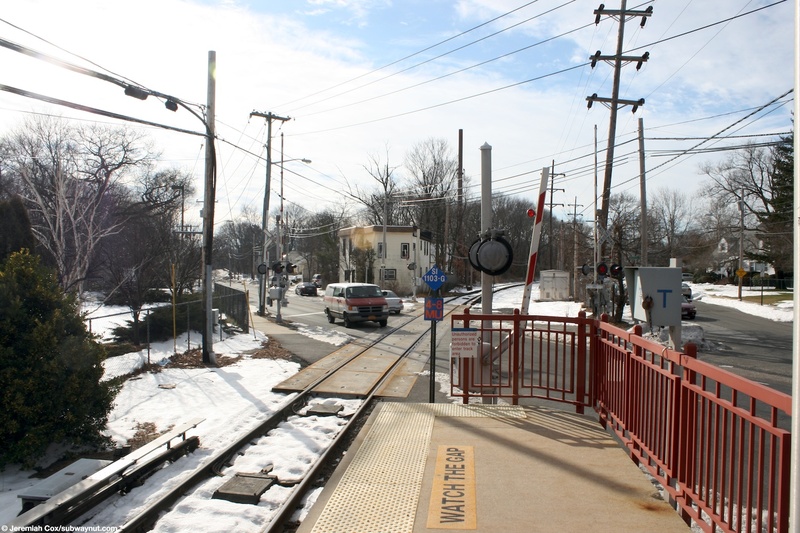 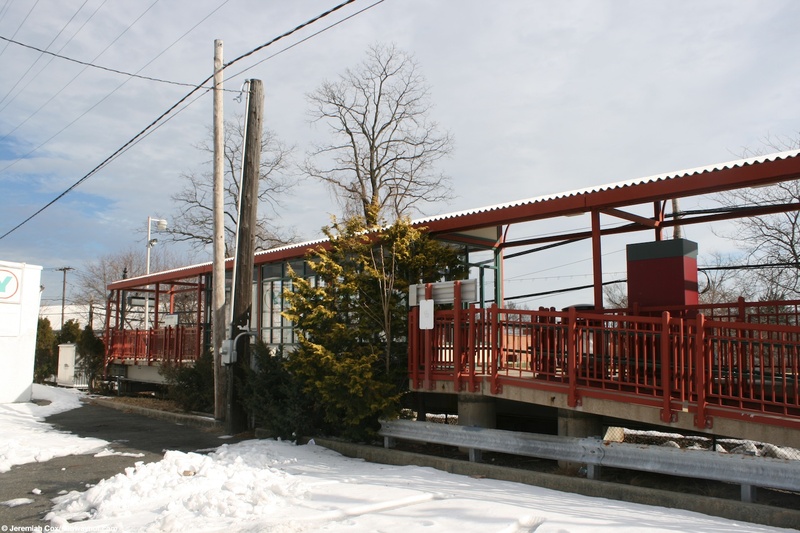 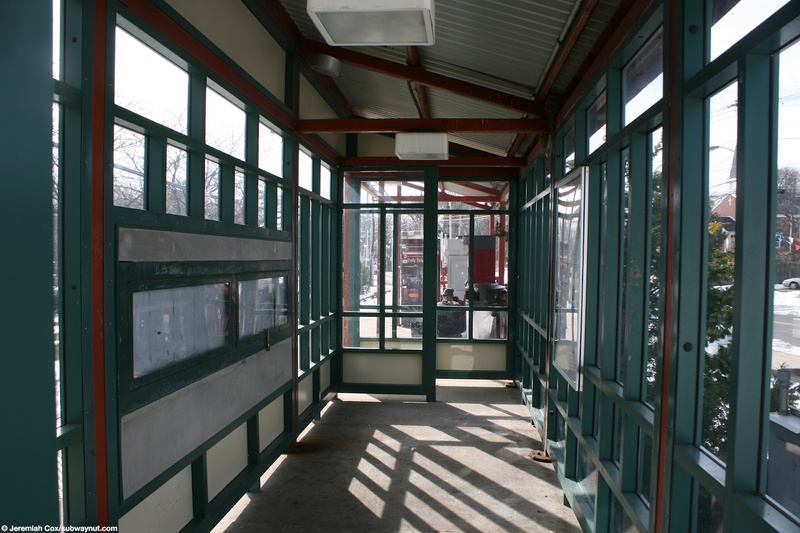 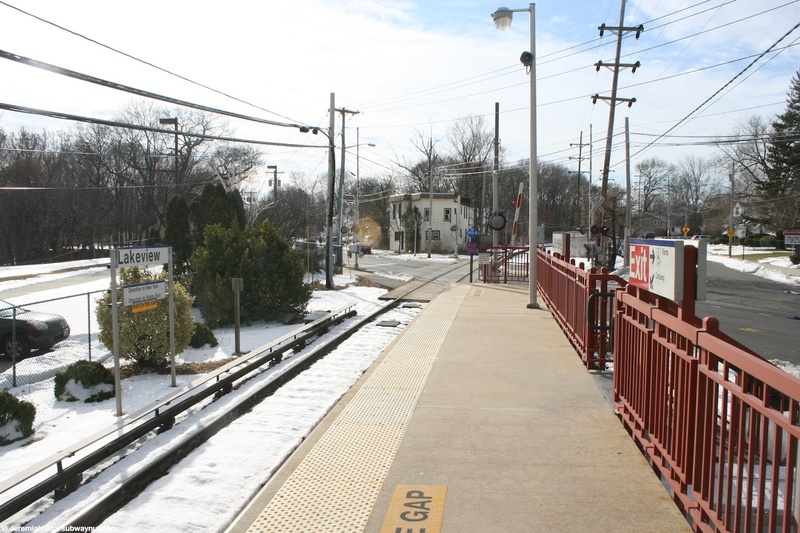 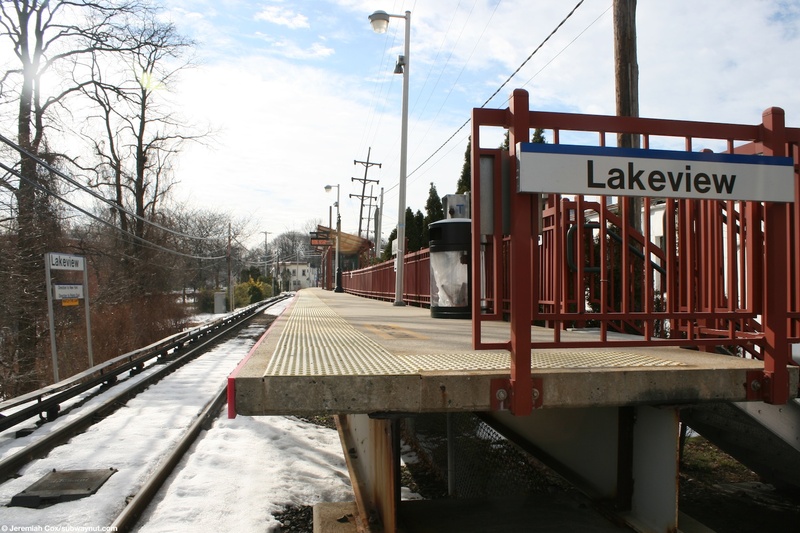 Lakeview is a station on the single track electric Hempstead line and the stop has a single 4 car platform to the northeast of the tracks barely nestled in between two grade crossings of Woodfield Road and Eagle Avenue forming a triangle with those two streets. 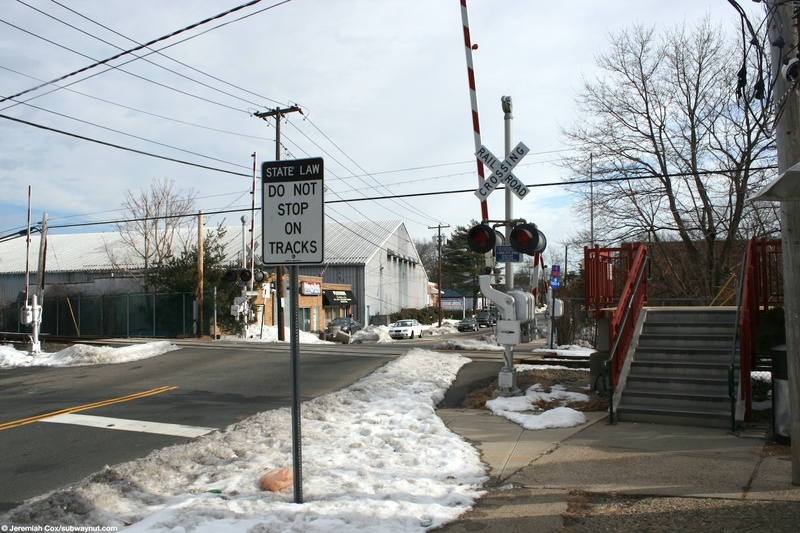 There is no possible way for the platform to be longer and all trains must block one of the grade crossings as they stop in the station (6 cars is the standard length for shuttle trains due to third rail gap). 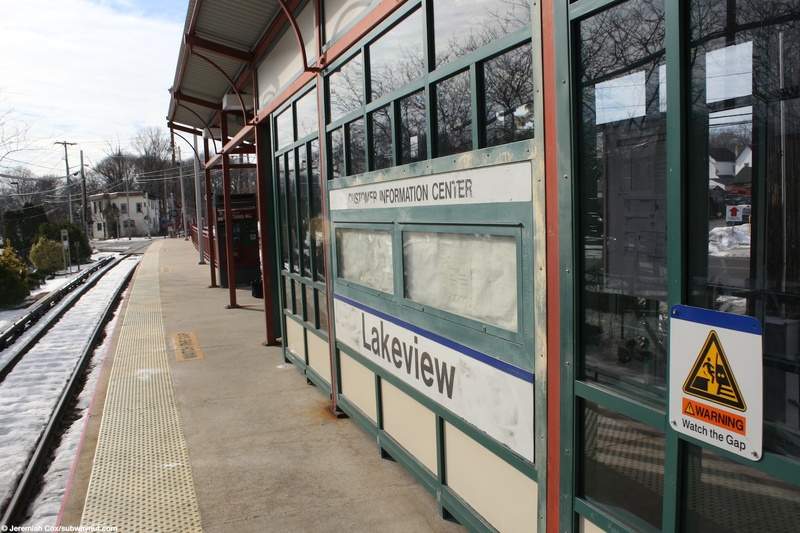 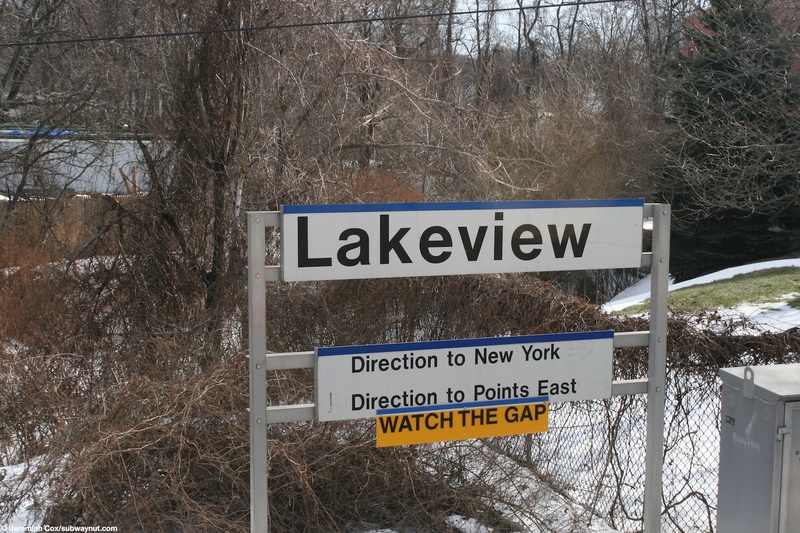 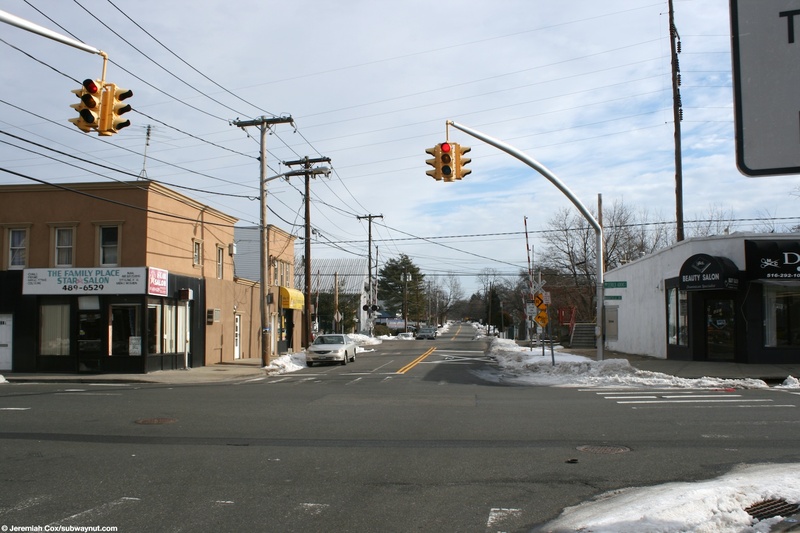 The stop is named for the village of Lakeview that is alongside Hempstead Lake a bit west of the station. 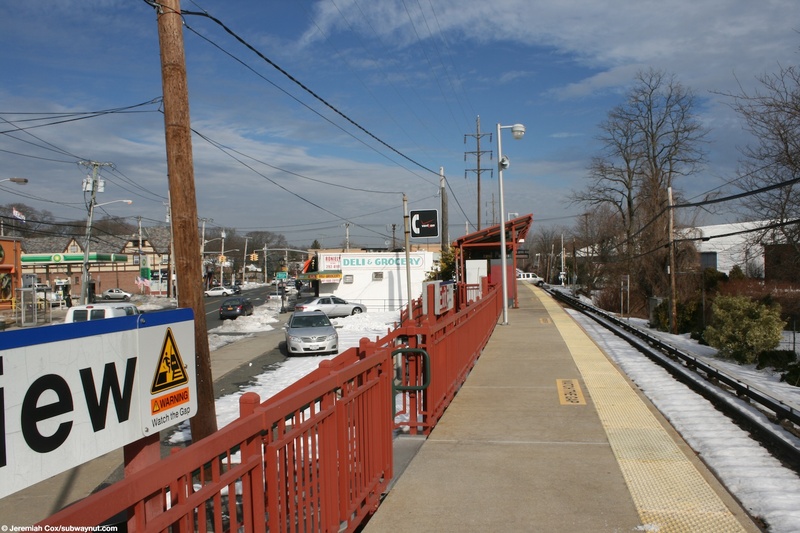 The platform is mainly on the backside of some simple village shops, although towards the southern end there are a few parking spaces, it is at this end of the platform where a staircase and ADA ramp provide access to it. 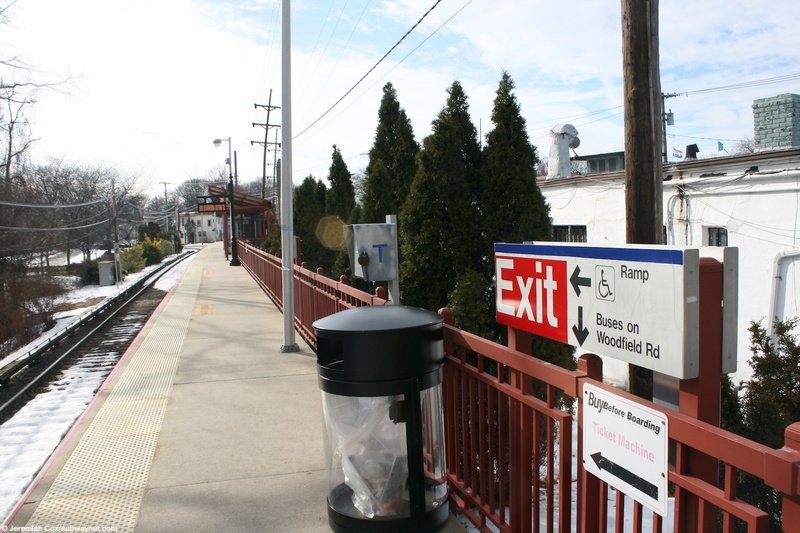 The parking map on the LIRR's website says there is parking on Woodfield Road north of the Eagle Ave intersection. 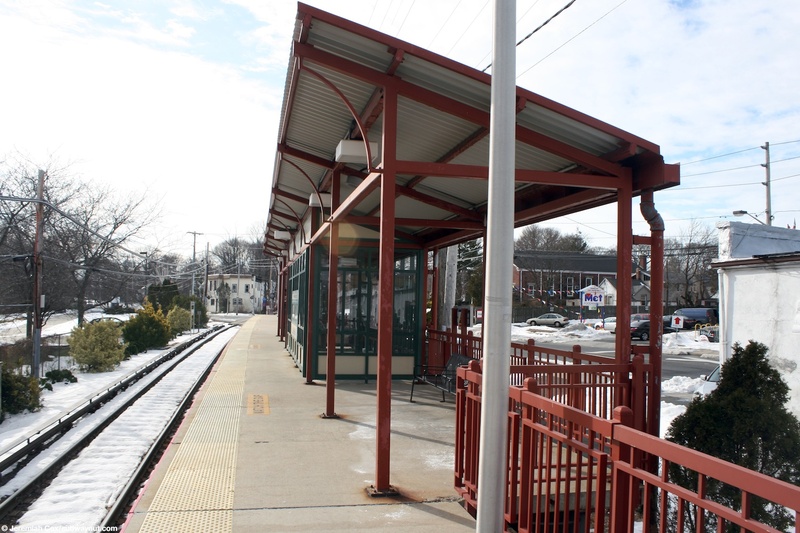 It has a red railing, and a small enclosed windscreen area in the middle of the platform whose canopy extends a bit on either of its sides, the TVMs are tucked beneath it. 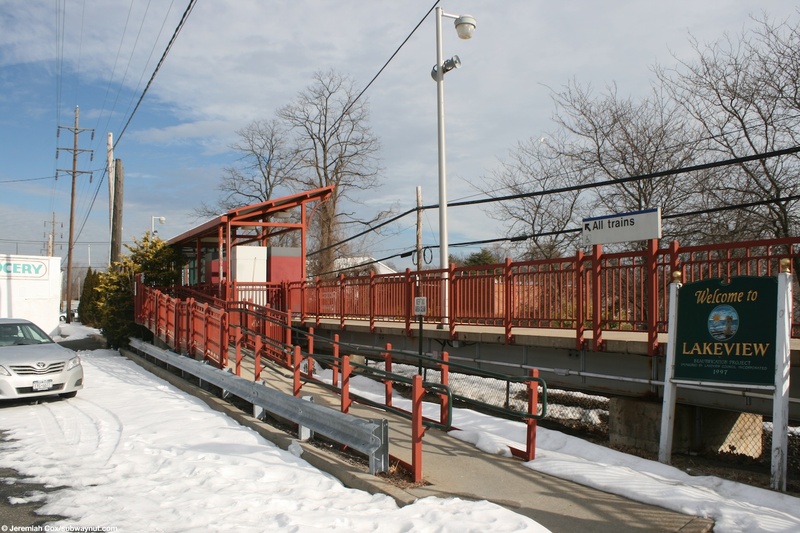 At the northern there is a single staircase (from the side of the platform, just before it ends since a train barely fits on it) down to Eagle Avenue.